Vinification and maturing: fermented in stainless steel vats at controlled temperature. 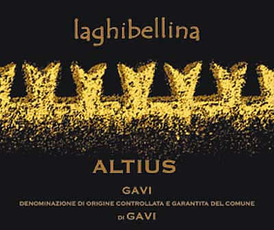 Organoleptic characteristics: intense and complex aromas (yellow flowers, mature fruit, citrus, hazelnut). Well-structured and smooth, with nice crispness and a mineral aftertaste. Serve with: fish, vegetarian cuisine, ravioli and with vegetable/cheese stuffing, and pesto sauce. Also cheeses and white meats.